103,000 New Zealanders served overseas from a population of 1.1 million, 59,500 casualties with 18,200 dead and 41,300 wounded. Local communities of all sizes recognise those who served and lost their lives. Each field has a named cross for every soldier killed up to that point in World War One. Red poppies symbolising hope and regrowth are placed by every cross. 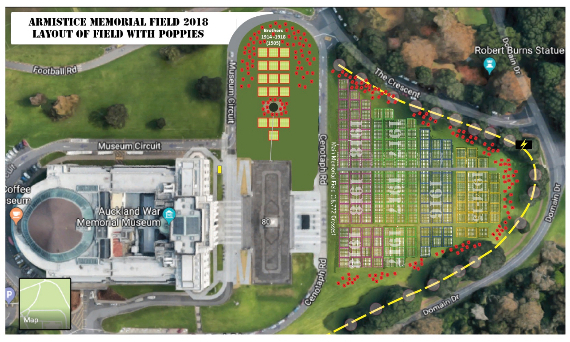 The field of 18,277 white crosses named for each New Zealander who died in World War I has been dis-established. This Remembrance event has struck a chord with so many people and we would like to thank all those who have visited and honoured the soldiers. Crosses are no longer accessible they will be distributed to community groups and schools to continue a cycle of remembrance. Since 2015 schools have used white crosses to investigate and remember New Zealand's involvement in World War I. Their respect is reflected in their research and scholarship. Crosses from the Armistice Field are being gifted to schools to refresh their stock. For more information on school events and projects. The memories of the boys who went to World War One are fading. They can be as many as four generations away with no direct descendants. 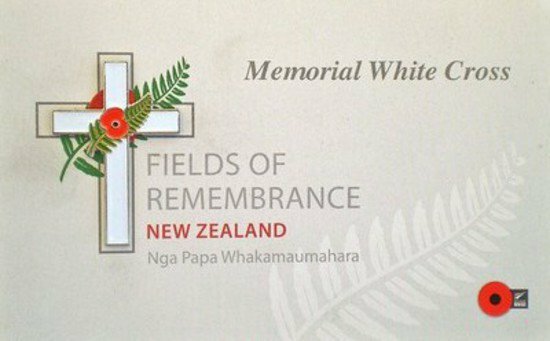 When we identify each White Cross in a Field of Remembrance with a name we begin to truly honour their sacrifice. And when we know the stories of their young lives we begin to understand the loss felt by their families and communities. 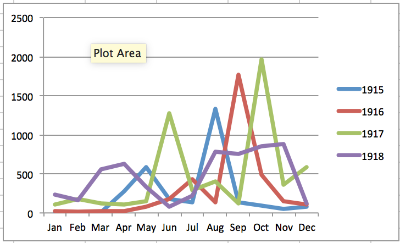 There are many wonderful resources to help tell their stories, and for researching a relative. Fields of Remembrance lapel pins commemorating the Battle of Chunuk Bair are now available. 650 men died in this offensive for the heights of the Gallipoli Peninsula in August 1915. $10.00 and all proceeds go to the Fields of Remembrance Trust.